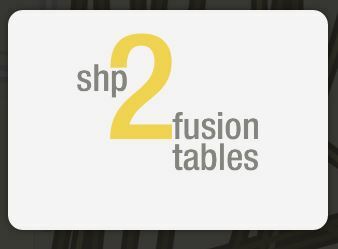 Fusion Tables is experimental. In the newest update, map charts, intensity maps, and heat maps are unavailable. However, they are available if classic is selected. This tutorial from 2015 provides a helpful overview. 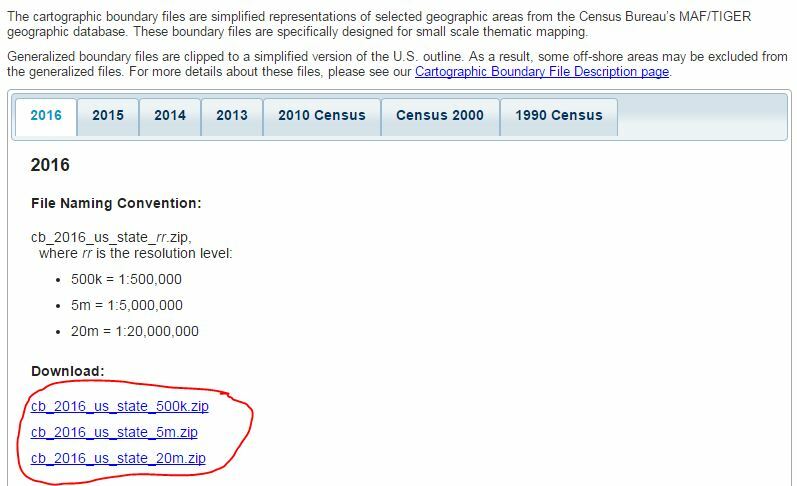 Visit the census bureau and locate the information you want to include in your Fusion Table. Example: you need a map of the United States, showing state boundaries. You would search for cartographic boundary shapefiles, which would take you to this web page: https://www.census.gov/geo/maps-data/data/tiger-cart-boundary.html. You’d browse down to select state, as pictured below. After clicking State, you’d browse down and select your file for download as pictured below. Once the above file is downloaded to your computer, you would use Shape Escape to upload and convert the zip file to a usable format for fusion tables.